The vines need constant attention, a regular, ongoing effort. Good observation skills and the experience handed down by previous generations help us to understand their needs. 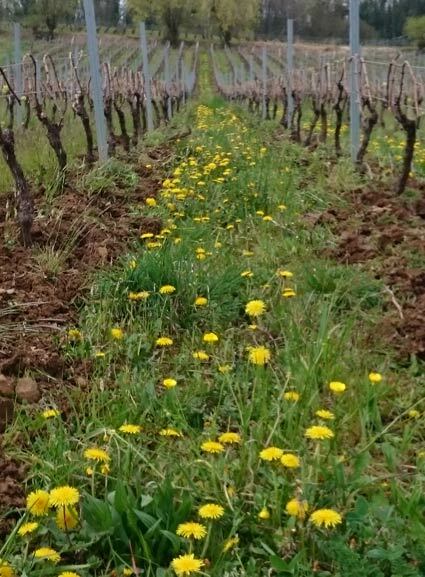 Our passion for winegrowing and our love of the vines and wine continually push us further in our ideas and our projects, driving our desire to create the most natural wines possible, wines that reflect who we are and that have a story to tell! 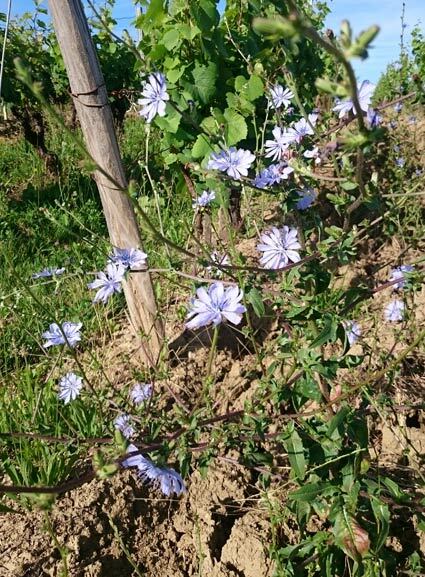 All the vines are managed in accordance with the rules of organic farming (certifying body: ECOCERT certificate no. 403 306P). The oldest vines are 80 years old. We regularly replant vines to sustain our plots. The vines are cared for throughout the year and the soil is maintained exclusively using mechanical and manual techniques. We manage the grass under the rows using a "grape hoe" and a pickaxe, and we plough between the rows. On steep plots, we use mechanical digging to naturally control the plants, and aerate the soil and its microorganisms. This also helps to prevent gully erosion. 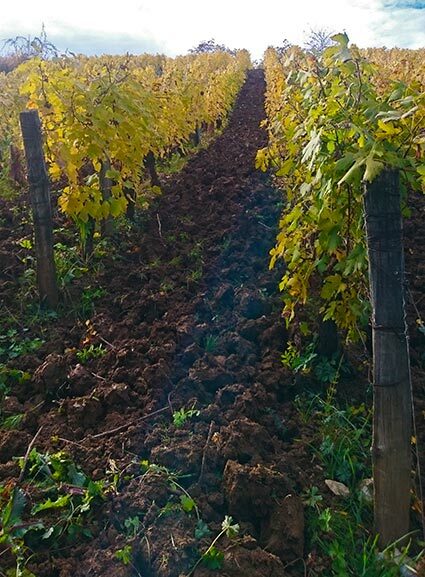 During the summer, the vines are only treated with low doses of copper and sulphur to fight grape diseases. 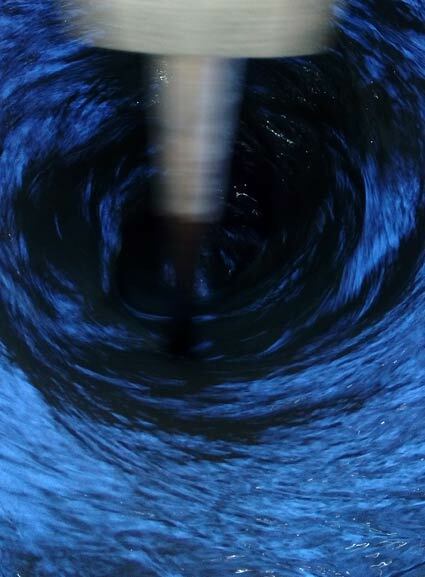 Our ambition is to move towards biodynamic principles and practices. Winter and spring : the "double Guyot" or "single Guyot" pruning method is used according to the strength of the vine. One or two "canes" are selected that will produce the shoots and bunches for the coming year. The other branches are shredded on the ground. The canes are trained in arches either side of the vine stock and organic matter (sheep manure) is provided at the end of winter. Spring and summer : Disbudding then tying-up is carried out in two stages to optimize the leaf area, promote photosynthesis and ventilation of the plant to fight the risk of bunch rot. The vines are only treated with copper (between 2 kg and 4 kg of active compound/ha/year) and sulphur (5 kg of active compound/ha/treatment). According to the weather, we treat 5 to 8 times a year. The soil between the rows and "under the rows" is ploughed several times a year. The plots are dug by hand every three years on a rotational basis to control the tufts of grass the plough leaves behind. 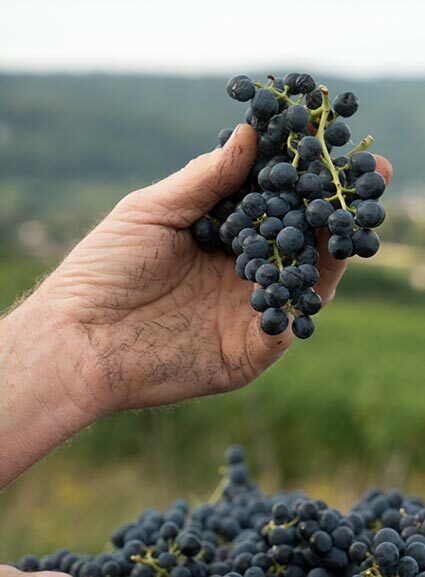 The phenolic maturity of the grapes - the balance between sugar content, natural acidity, and tannin maturity - determines the date of the harvest. The grapes are hand-picked and each plot is harvested to ensure optimum quality. If necessary, the grapes are sorted during the harvest. 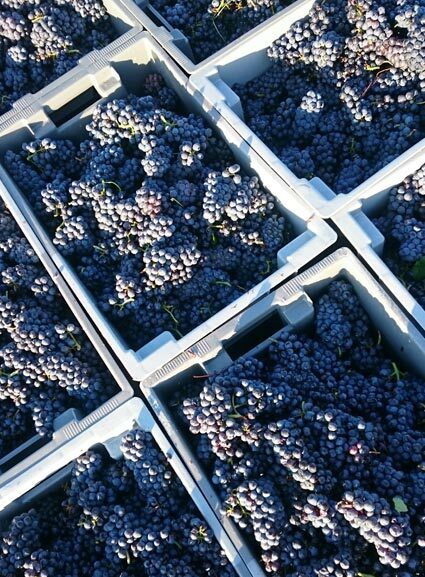 The use of small 20 kg containers for collecting red grapes helps prevent tamping down of the harvest and thus promote fermentation of whole grapes. According to the blend, destemming is carried out by hand with or without crushing. The vats are gravity filled. White grapes, of which the bunches are pressed whole as soon as they reach the press, are harvested in 300 kg containers. The whole bunches are loaded into the press using gravity. The pressing is slow to obtain a clear juice. Kept cool, the juice slowly clears following static settling for 24 to 48 hours. The wild yeast in the skin of the grapes and in the cellar trigger the natural process of fermentation contributing to the development of the diversity and complexity of the wine. Fermentation takes place with no chaptalisation or inputs. Slow fermentation at low temperature in heat-regulated stainless steel vats helps preserve the fruit, the freshness, and the finesse of the wine. The fermentation of white wines is completed "in wooden barrels" and that of red wines in vats. The wooden tuns (old and new oak from Vosges) let the wine "breathe" to ensure constant, harmonious fermentation. 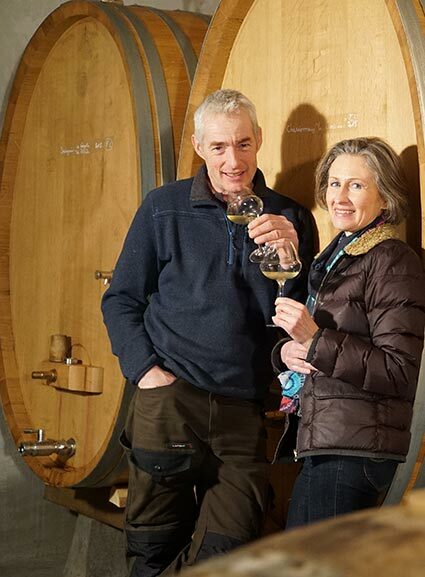 Once fermentation is complete, we leave our white wines on their lees in tuns or barrels for 9 to 24 months. According to the grape variety and the vintage, the red wines are aged in tuns or in vats and are racked once or twice during aging. We use low doses of SO2 - between zero and 30 mg per litre - as an antibacterial in our white grape juices and our red grape must before fermentation. For some blends, we use carbon dioxide instead. Before bottling, after tasting, between zero and 30 mg per litre of SO2 is added to help prevent oxidation. 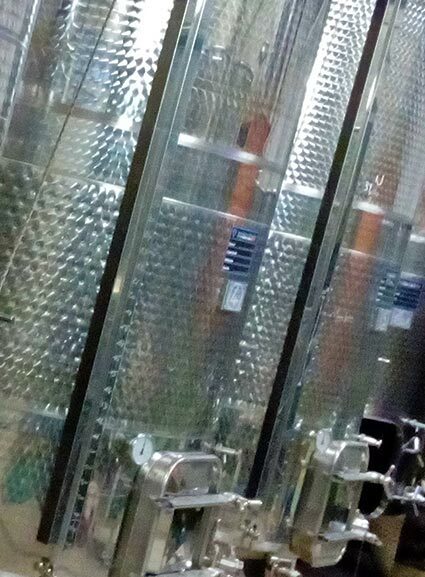 Our red wines are not filtered before bottling; our white wines are filtered if necessary.